TOTUS is a web-based marketing automation solution enabling centralization of marketing materials, distribution channels, user and customer data, and vendors into one platform. This allows users to reach prospects and customers more effectively. TOTUS facilitates all marketing channels including Email, Print-On-Demand, Direct mail, Social Media, fulfillment/company store, ad builder, presentation builder, and provides the ability to download a variety of documents. All documents are completely brand compliant and legally approved while allowing users the ability to personalize as well as customize them to meet their needs. Organizations can choose where to allow users change a few words or write their own copy. Customization allows companies to add an approval process, or allow the user to send it straight to the recipient. TOTUS has a built-in campaign feature. This allows users to do a one-step subscription to campaigns such as birthday, holiday and monthly newsletter campaigns. This enables more efficient conversion of prospects to customers as well as increased customer retention. With campaigns, users are offered multiple documents that can be linked together and dripped out as a multi-step marketing campaign. Campaigns range from Direct mail to email documents and are set up to run automatically for 3 years. TOTUS is also a powerful integration platform, integrating from large CRMs such as Salesforce to smaller scale CRM platforms. TOTUS has the ability to integrate with human resources platforms for easier onboarding of new employees. 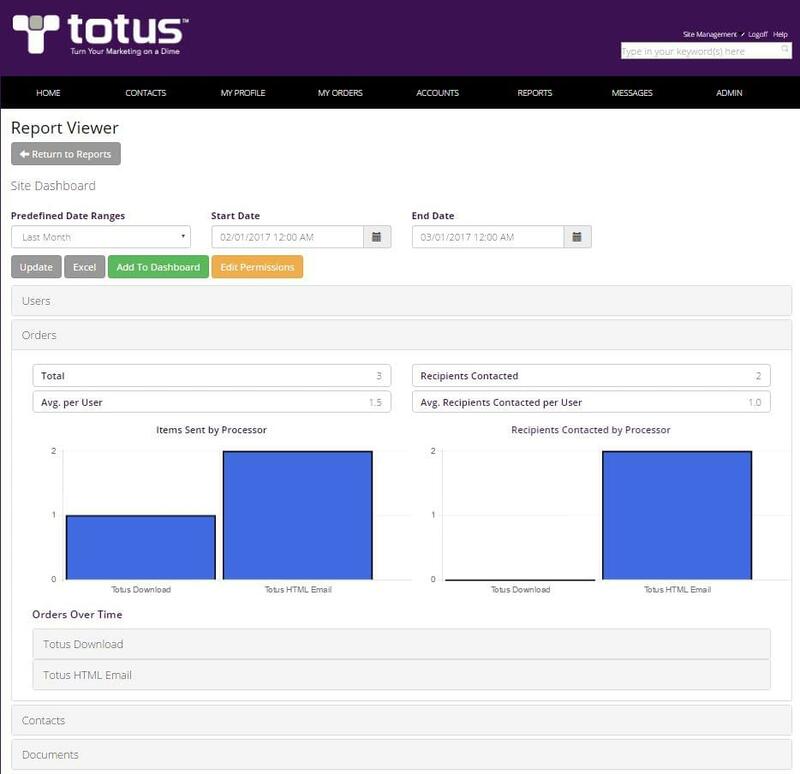 When a new employee is added, TOTUS can automatically pull that data and have the user set up with credentials. TOTUS can also easily be integrated with SSO to other vendor platforms such as company stores and print vendors. Not sure TOTUS is right for your business? Use our Marketing Automation Product Selection Tool to compare other Marketing Automation solutions. Have questions? Call or email one of our unbiased Technology Advisers for a free consultation. Learn everything you need to know about TOTUS. Our experts will reach out to you shortly.